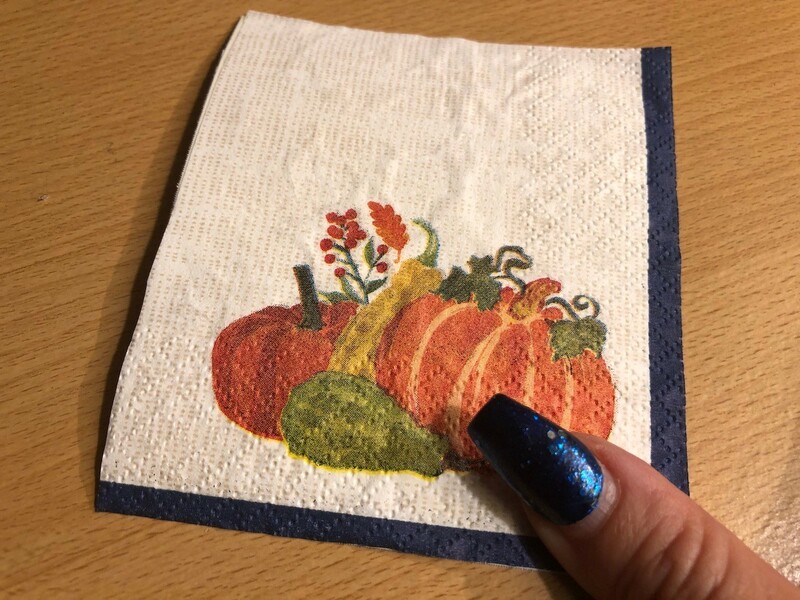 I found a pack of fall harvest print napkins at the shops last night for 46 cents. 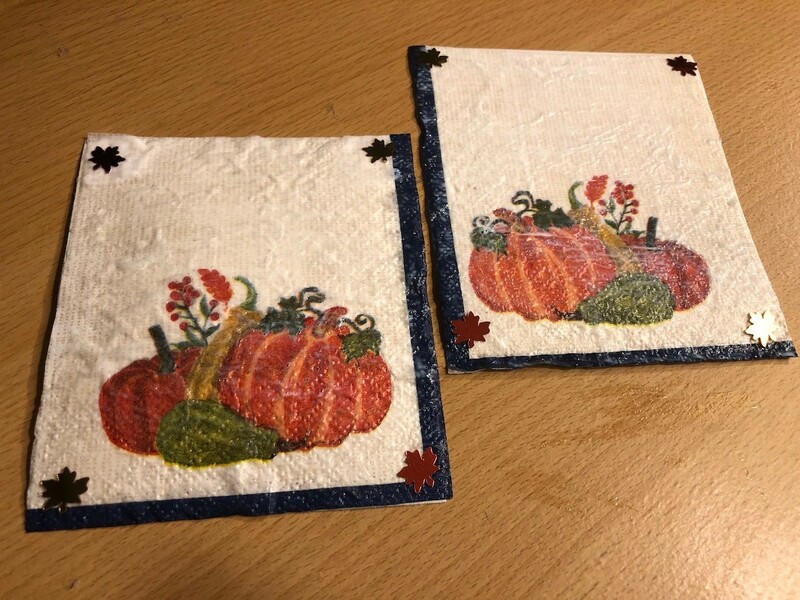 I thought they would be great turned into coasters using a bit of card stock paper. I embellished them with some shiny leaf confetti and wrote my guests' names on them, so they double up as place cards! 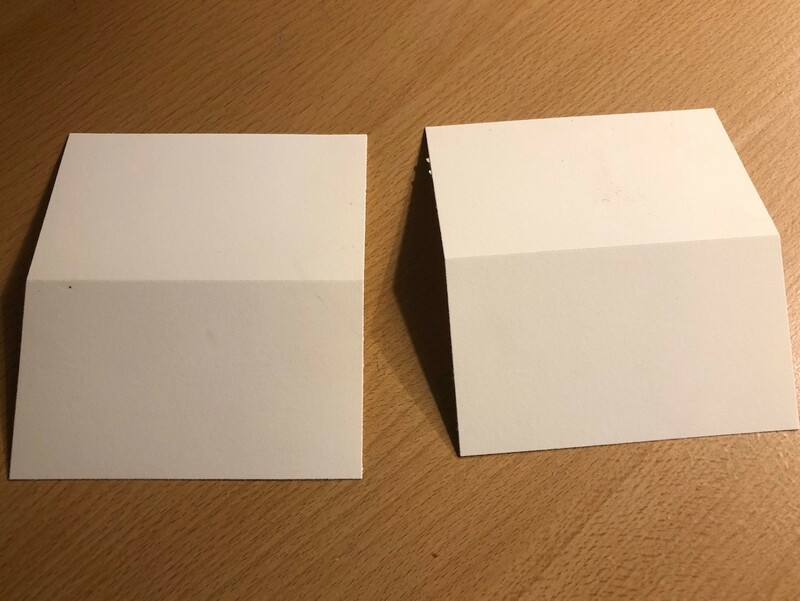 I used an old unused sheet of thick business card paper. 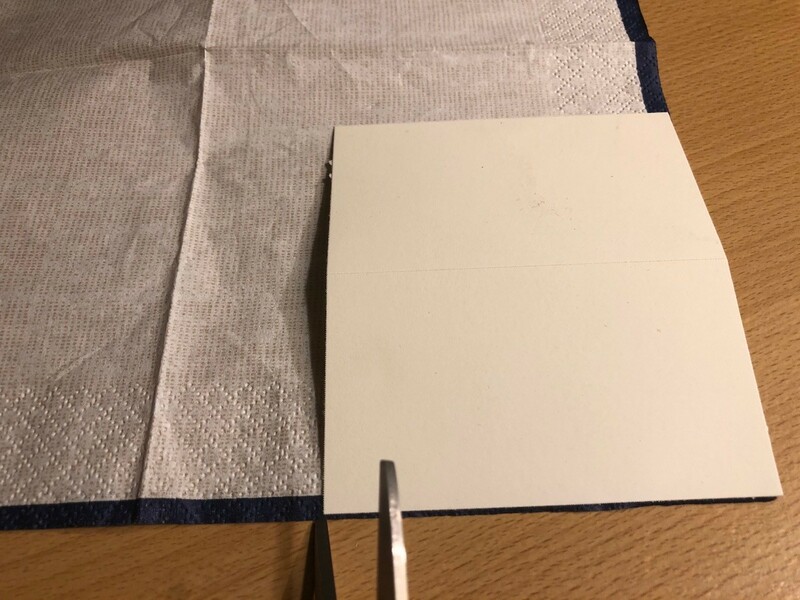 You can use any card stock or cardboard for this. 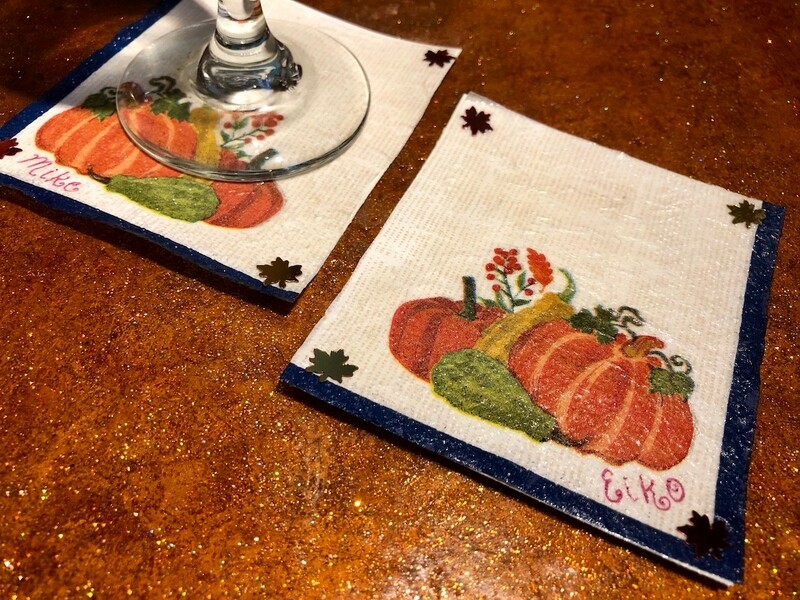 Cut out squares from your card stock or cardboard in the size you'd like your coasters. Lay a square over a piece of napkin, then cut out the same shape. 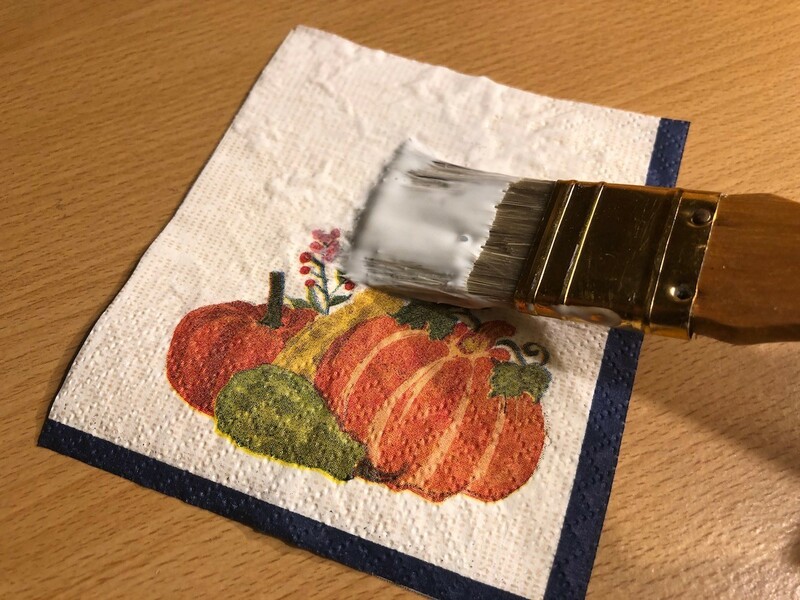 Cover your square of card stock with a thick coating of Mod Podge. 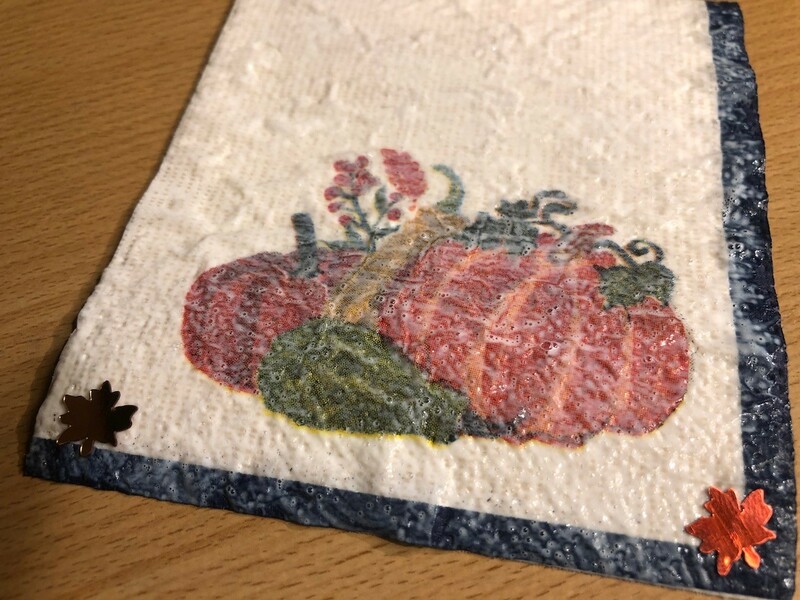 Lay your printed napkin piece right over it. Press out any wrinkles. 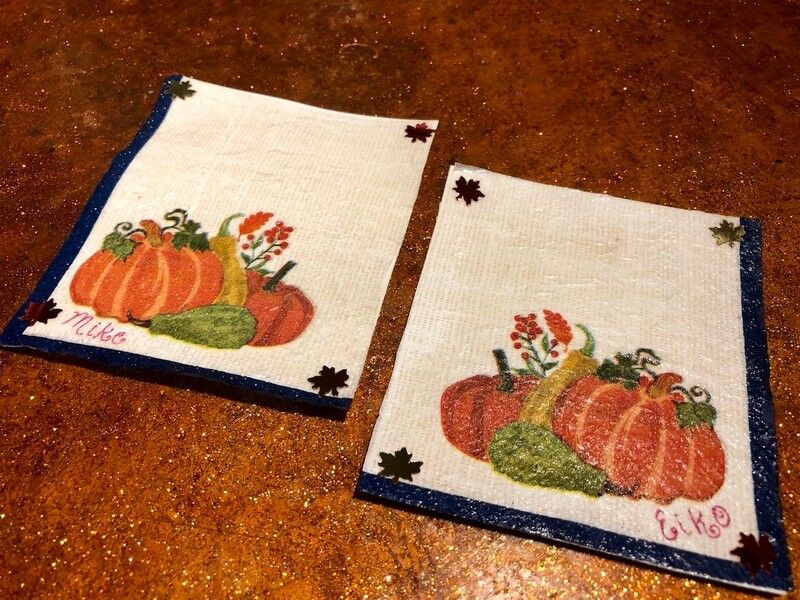 Paint another layer of Mod Podge over the napkin. 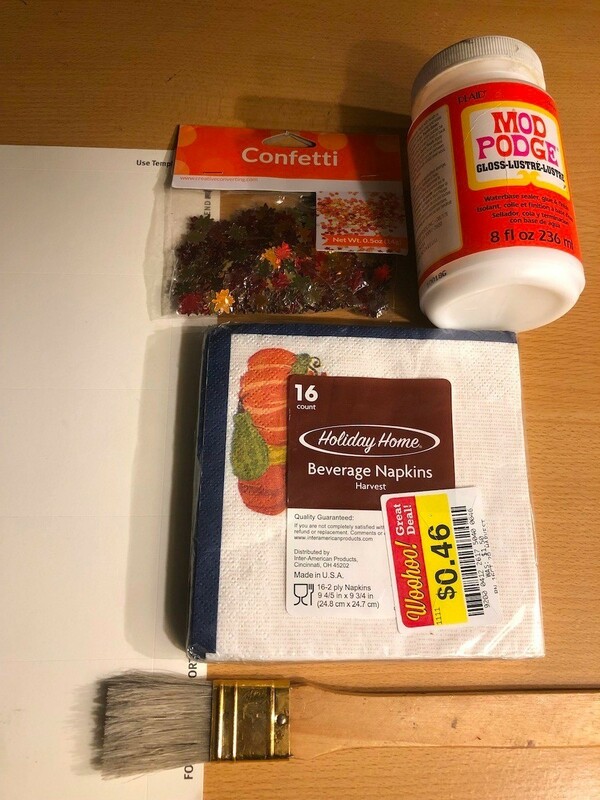 While the Mod Podge is still wet, apply your confetti to the corners. 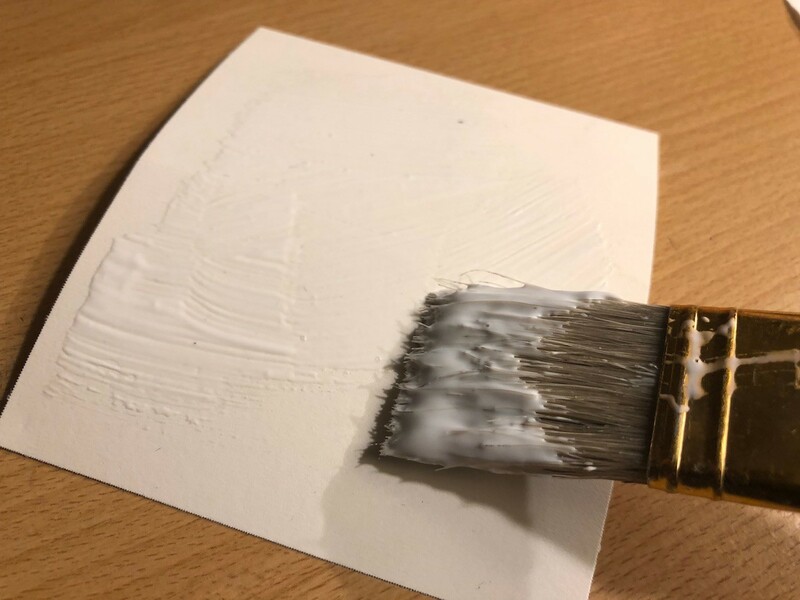 Allow to dry several hours or overnight until it is thick, canvas-like, and firm. 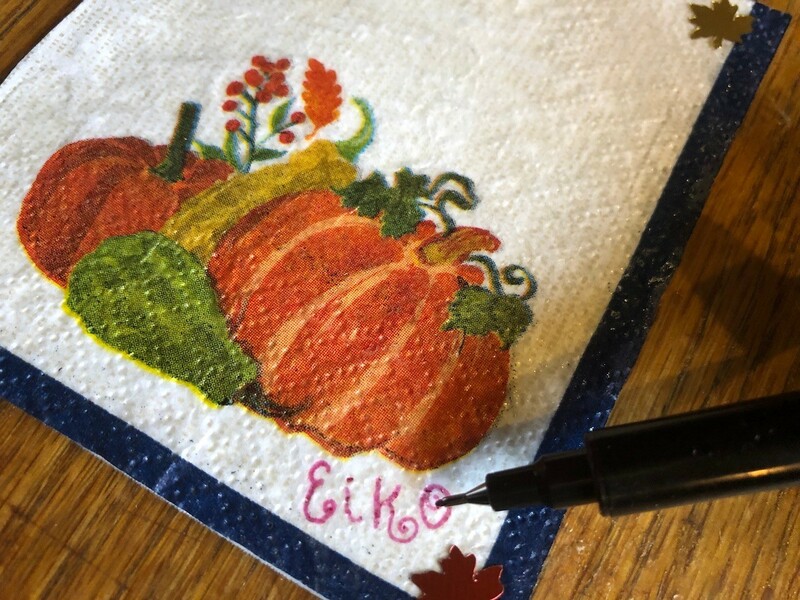 Write your guests' names on the corners. Place at their arranged seating. Enjoy!